Eli. I got it because my full name was too long to enter into my colleague’s phone at the time. What’s Elizabeth McCall’s elevator pitch bio? I have a masters degree from the University of Louisville and have been a member of Brown-Forman’s Global Production Team going on 10 years. 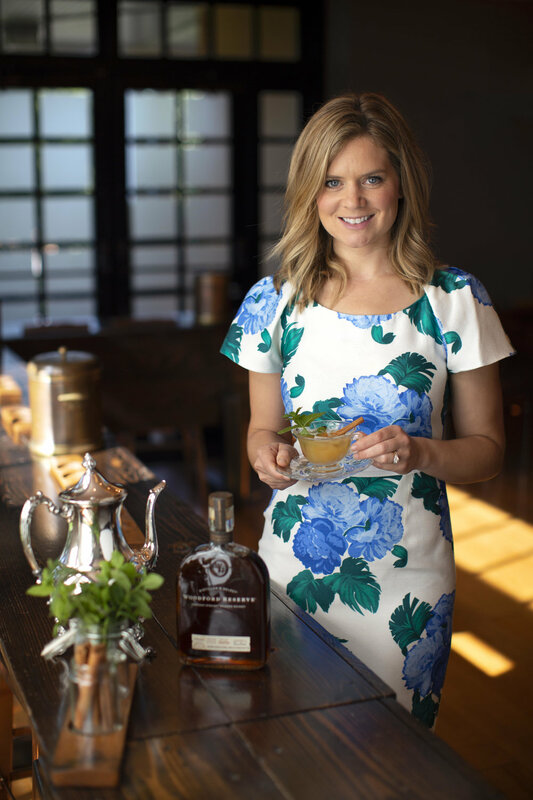 As the Assistant Master Distiller, I work closely with Master Distiller, Chris Morris, and the Woodford Reserve Distillery team, to ensure that Woodford Reserve maintains its high quality and continues to push the envelope with innovation. I am also passionate about horseback riding, animals, and serving my community as I currently sit on the board for Green Hill Therapy. Woodford Reserve on the rocks, red wine, a warm cup of coffee, and I've been really into the LaCroix water lately. What’s your favorite spot and/or time to drink? Relaxing at home with my husband and dog cooking a delicious meal or relaxing on our back patio. I also enjoy when we host family and friends at our house as well. How do you live a healthy BDC lifestyle? I walk my dog every morning and try to workout at least 3 times a week. I also really enjoy going out to the barn to spend time with my horse. Sleep in late, which for me is about 7 AM, coffee and breakfast on the back patio watching the dog play. Then head off to the barn for a lesson on my horse and catch up with all of my wonderful friends at the barn. I would then head home and tidy up the house, I really enjoy cleaning, next I would want to get cleaned up and go out to dinner with my husband and either meet family or friends or have it just be the two of us. What do your mornings or evenings look like? Tell us about your routines and how they set you up for a positive day. I typically wake up at 5 AM and take the dogs on a walk, then get a workout in, get cleaned up and try to be out the door for the distillery by 8/8:30. What’s the most interesting place you’ve ever had a drink? The Aviary in Chicago, the cocktails were delicious, but the presentation is even better! What’s one thing you could not live without? In a sentence or two, why do you support and live a BDC lifestyle? Because drinking is simply about enriching your day or a particular moment—not over-indulging. Who should we grab a drink with next? Eli, sorry—Elizabeth, where can people learn more about you?